This website was originally built by Bill Schnakenberg. The following paragraphs explain some of the amazing effort he put into building this site. Thoughout the site, many of the first person references refer to Bill, especially the previous reunion pages. I would like to also thank Bob Merkert, who has maintained this site and supported the site hosting. Effective 2015, I have taken over managing updates of the website, with the help of my daughter Kathy VanDyke, a web designer who is providing the site hosting now. Please contact me at lazysundaze@aol.com with any updates. About the Nyack HS Class of '55 website. When I first received the letter about the Class of '55 reunion from Bob Merkert back in August, I decided that I would go to this one since I hadn't been to any of the previous ones due to shift work and/or lack of interest. I sent in my highlights page to Bob, and in it, mentioned that I did web pages as a hobby. Bob immediately jumped on that and asked if I would design a web page for the reunion. His suggestion was that we register the site and get a web hosting service. Bob then registered Nyack55.com and we decided to go with a pay as you go web hosting service. He signed up with A1webserver.com to host our site and I uploaded all the pages to them on the 13th of October. About the design and images. The pages were designed for viewing at a display size of 800 x 600 and up. They are viewable by either Netscape or MSIE as far as I know. I don't know how they might display with Opera or other browsers. Since I use Netscape, I design for Netscape and check in MSIE to see that everything works. The only thing with MSIE that I can see is that the rollover buttons do not change fast enough when clicking on them as they do in Netscape. I created the banner from a collage of yearbook photos. I tried to select pics of groups of classmates which were closely bunched to fit within the banner. I selected the pic of Allison and Stephanie at the bonfire mainly because of the saddle shoes! I also included some pics of cars of the period to date the collage (as if the saddle shoes weren't a hint!). Bob sent me a picture of the "Nyack Indians" patch which had GO, for General Organization on the headband. I removed the GO to make the patch more non-specific to any organization or team. I don't know how politically correct the image is today, but it was the emblem of the day so I included it. I see that the current Nyack HS patch is less cartoonish and more like the Indian head on the Nickel. About the background of the page. 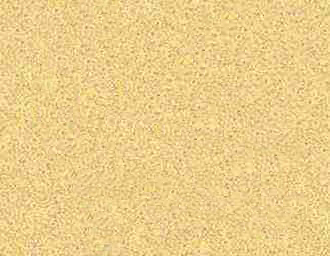 The home page background was created by scanning the yearbook cover and selecting some footprints and sand from the scan to make a small image that tiled when placed on the web page. I then reduced the brightness and contrast of the image and made another background image for the documents pages. If you sent in your 'Highlights since 55' document and/or a 'Now' picture, I made a page for you and colored your yearbook photo and included it on the page. If you sent in neither then I didn't make a page. I didn't want to just include a yearbook photo and have nothing else, otherwise I might as well make a page for every graduate in order not to cause hard feelings for those that weren't coming to the reunion or didn't know about it and then came across the page. As it stands now, any web site on the world wide web is there forever unless taken down by the author. About the colored yearbook pics. I restore and colorize old photos as a hobby. When I started putting up the Highlights pages, I thought it would be a good idea to put the yearbook photo on each highlights page. The first photos I put up were the B&W yearbook photos of the deceased classmates. I thought I would do something special in their case and colorize their yearbook photos. As I starting getting the 'Now' pictures, I decided that the B&W yearbook pictures didn't look that great next to the colored 'Now' pictures, so I decided to color those too. I also removed some imperfections in the photos such as dark or light spots, seams along those pictures that were next to the book spline, etc. If you had a mole on your face in High School, you don't have it now. No charge for the plastic surgery. Colorizing these small yearbook pictures doesn't take too long, 15-20 minutes at most for each photo. The boys took a little more time since they had suits, shirts, and ties. The girls were easier since they all had sweaters and pearl necklaces. Deciding the colors for the clothing was a little difficult since you can't tell colors too well from B&W photos. I found that the shade of grey sometimes gave me some clues about the original color so I went with that. It appears that the majority of the girl's sweaters were white or a very light shade of color. I decided that I would use various pastel colors for the sweaters. If you see your colored yearbook photo and remember that you never had a suit, tie or sweater of that color, or hate the color I gave you and you think it important enough to change the color, then drop me a line. I have the colored photos in a layered format (each colored item has its own layer). I originally placed the colored yearbook photos as they were displayed in the yearbook with the blurbs either underneath or above the photos. Bob suggested that I make them all the same with the blurbs underneath the photos which I then did. 2/3's of the photos have the blurbs on top. The other 1/3 with the blurbs underneath are the photos near the outside edge of the page. Bob sent me some old pictures and Martin Roberts sent me some more. The old pictures album was created with a software program I haven't used in a while but it did a good job. I left the original pictures at full size and without compression, so they are slow to display, but I wanted them as big as possible so you could download and save them if you wanted. If you click on one of the thumbnails, an intermediate picture will display. Wait for that to load completely and then click on it and the full sized image will display in a pop-up window. If you want to download any of the large pictures, right click on them and then select 'Save As...' or 'Save Image as...' or whatever your browser uses to save images. I need a little help! Some of the pictures came without names and although I was born in Nyack Hospital, I moved to the Bronx shortly thereafter (2 years old). My education started in PS 46 in the Bronx and up through the first semester of 9th grade at Evander Childs HS, when I moved back to Nyack. I had nothing to do with, nor any input, into the moves so I never had the opportunity to spend my formative years growing up with the rest of you in Nyack, including my many cousins; the Parietti's, the Petry's, the Van Houten's, the Keenan's, and the Smalley's, so if you can, please provide names to pics or correct any of the pics I have misnamed. If anyone has pictures taken around Nyack during our HS years, I would love to see them, especially of the HS or 'Schmitt's' (now the Skylark Restaurant). I put in some links to happenings around Nyack for those of you that have moved away and have an interest in reading about current events in Nyack and the surrounding area. By The Way: If you haven't been back to Nyack in a while and want to see it as it looks now, you might want to tune in to NBC on Sunday nights and watch the new comedy show "Ed". The series is filmed in Nyack and surrounding areas, called 'Stuckeyville' in the show. The key setting in the series is called the 'Runcible Spoon' (ala "Central Perk" in 'Friends') and is the actual 'Runcible Spoon' located in Nyack ( the artsy crowd in Nyack likes weird names). The Stuckeyville Bowling Alley is the Northvale Lanes.